Christmas Cheer with Kooiii ! * marked fields are mandatory. Come and see me at Kooiii, its a scam free site where you can really belong! 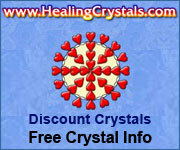 Find Beautiful Crystals and Minerals, Info & more! Learn More About Therapeutic Gems!